When using SharePoint Online as an input for our PowerShell scripts, sometimes we need to get information from a People Picker type of field. Luckily this is pretty easy to do once you know where to look at. 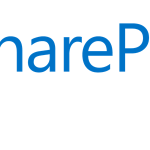 Whenever we simply want a string from SharePoint Online, we simply use $item[“ColumnName”] and it works. However that returns nothing for a People Picker Column. For a People Picker Column, here is a screenshot of what properties look like. I hope this was helpful! If you want to learn more about PowerShell for Office 365, check out my Pluralsight course by clicking the banner below!